I made these cards a REALLY long time ago, but then I misplaced the cable for my camera and couldn't upload any photos. We did a big rearrange of rooms in our house recently and my camera cord reappeared! It's too bad that now basically all of the stamps and papers I used are now retired! I thought you might enjoy seeing them anyways. 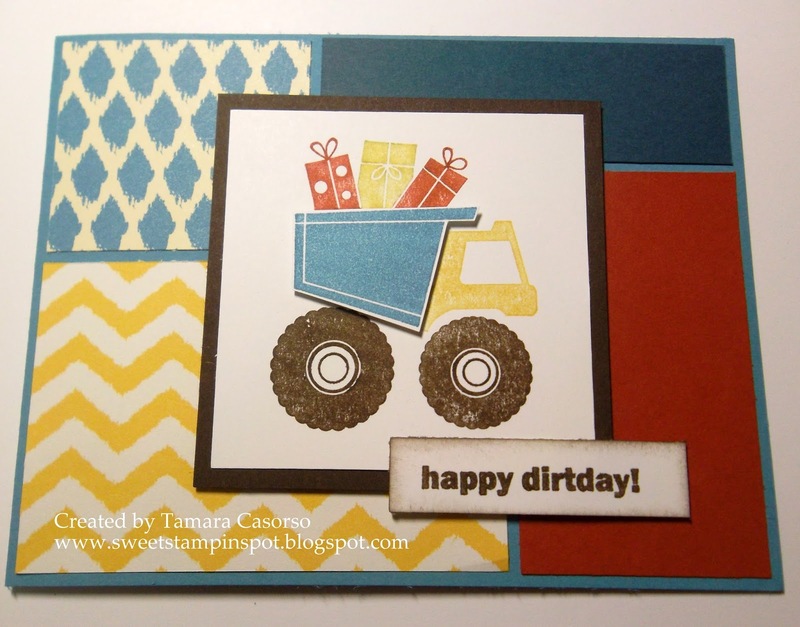 You can always subsitute a stamp set you do have along with Designer Series Paper you have on hand. (If you don't have ANY, please shop with me at my online store). This is still one of my all time favorite boy stamp sets! It wasn't for sale at my Rubber Rummage sale and I'm not sure I'll ever part with it. Even when my little boy grows up, it'll be something I use for years to come! I used markers to colour in the stamps and then did some paper piecing by snipping out the bucket part of the dump truck and then popping it up with a dimensional. 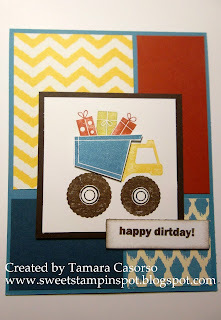 Parker's Patterns Designer Series Paper was a great package of paper for creating masculine cards. 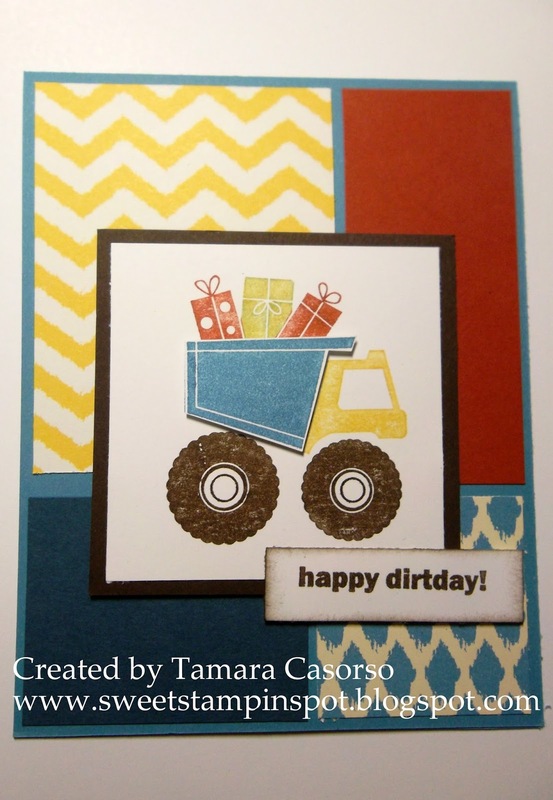 Even the yellow chevron pattern has a rugged look to it. Enjoy your day and thanks for stopping in!